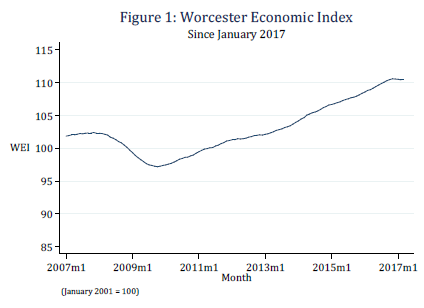 According to the Worcester Economic Index (WEI), a quarterly analysis compiled by Assumption College Professor of Economics Thomas White, Ph.D., economic activity in the greater Worcester area slowed during the first quarter of 2017. Since December, the WEI declined 0.4 percent on an annualized basis. Though the WEI shows the unemployment rate fell from 5 percent in March 2016 to 4.2 percent in March 2017 — which White considers a positive signal — the recent data on Worcester-area unemployment has been less encouraging because of seasonally adjusted employment estimates. “During the first quarter of the year, there is usually an increase in the unemployment rate, as seasonal hiring for the holiday season unwinds,” White said. “This year, however, the increase was greater than normal due to an increase in the size of the labor force. Therefore, the rise in the local unemployment rate over the last few months is the reason the WEI fell to start the year.”White added that on a seasonally adjusted basis, “the Worcester unemployment rate increased to 4.0 percent in March, which is slightly above the Massachusetts unemployment rate of 3.6 percent, but still below the national rate of 4.5 percent percent.” However, despite the slight rise in unemployment, the seasonally adjusted employment estimates indicate that both payroll and household employment were actually up in the first quarter of 2017. 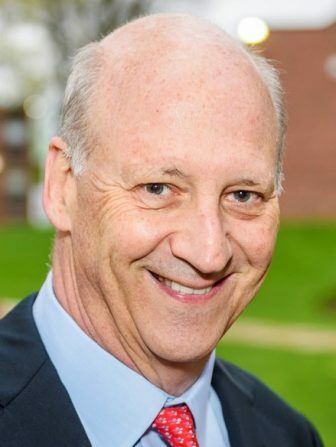 A gift of $5 million from the family of Ronald M. Shaich, Panera Bread founder, chair and CEO, helped boost the public launch of Clark University’s $125 million comprehensive campaign, last week. Campaign Clark, themed “Now is Our Time,” will support student scholarships, faculty scholarship and creative work, endowed professorships, facilities and other key components of a Clark education. The campaign marks a renewed commitment from donors to support Clark’s ongoing work to make an enduring difference through research, undergraduate and graduate education, and community leadership. “Our intent is to integrate advanced research with undergraduate and graduate studies in ways that address the most pressing concerns in our society,” Clark President David Angel said. The campaign has raised just over $101 million toward the goal of $125 million. In recognition of the recent gift, the University will dedicate its newest facility as The Shaich Family Alumni and Student Engagement Center. The center, on Main Street just across from Clark’s main gate, opened last year. Massachusetts was ranked the second greenest state in United States by the financial website WalletHub. Using three categories, Environmental Quality, Eco-Friendly Behaviors and Climate-Change Contributions, the Bay State ranked right by Vermont, which topped the ranking. In addition, the survey found Massachusetts ranked No. 1 in the nation in energy efficiency, seventh in air quality, and eighth in both per capita energy consumption and LEED-certified buildings per capita. Nearly 50 volunteers from Community Harvest Project recently helped in its latest planting, one acre of peaches at their Prospect Hill Orchard in Harvard. Attendees who assisted in planting the several hundred trees included local residents, longtime volunteers, and groups from the Devens Eco-Efficiency Center, Bemis, Hollingsworth & Vose, Wakefly, Millbury Street Head Start, and the Massachusetts Master Gardeners Association. 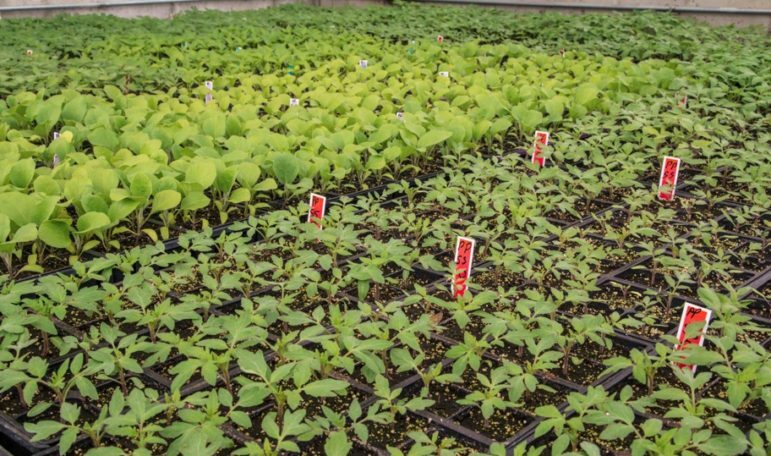 This planting was the culmination of a project funded by The Health Foundation of Central Massachusetts that also included planting two acres of high-density apple trees. Both plantings will mature over the next two years and will then produce fruit that will be donated to local hunger relief agencies. With fresh fruit being one of the most requested items for donation, the peaches will help diversify the types of fruit available to these agencies. Mass Alliance, a coalition of varied political organizations dedicated to making Massachusetts more progressive, announced its endorsement of Dante Comparetto, a candidate for Worcester School Committee in the city’s municipal election Nov. 7. “Mass Alliance is proud to endorse such a committed parent and community leader who has spent his life bringing people together to solve problems,” said Jordan Berg Powers, Director of Mass Alliance. Mass Alliance is a coalition of political and advocacy groups that advocate on a wide variety of issues, including civic participation, civil rights, economic justice, education, environmental issues, health care, reproductive rights, and worker’s rights. BJ’s Wholesale Club, which has headquarters in Westborough, earned the top for overall customer experience in retail according to the 2017 Temkin Experience Ratings. BJ’s score of 81 percent puts them at the top of the retail industry, tying with Ace Hardware and QVC. Overall, BJ’s placed eighth out of 331 companies across 20 industries, including airlines, banks, grocery, hotel & rooms, streaming media and wireless. “We’re thrilled that BJ’s is being recognized for providing an outstanding customer experience, and we’ll continue to deliver an unsurpassed level of service and value to our Members,” Brian Poulliot, executive vice president and chief membership officer, said. Editorial: Is $15 worth the fight?